Unparalleled, unequalled, unmatched, supreme. Many words that define- 'A class of its own'. And many attributes that reciprocate it. But 'A Class of its Own' as a philosophy, is quite unique from the above. It takes dedication, determination and an absolute vision to understand it and achieve it. The incessant efforts, effective leadership, absolute execution and an efficient team lay the foundation for it. And of course, the quality, precision and transparency nurture it till it becomes 'a class of its own'. 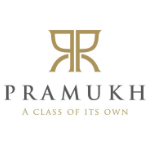 At Pramukh, we believe in creating class. It's because of this we are forwarding towards attaining our goals. It's because of this we are making ourselves distinctive, dynamic and developing.